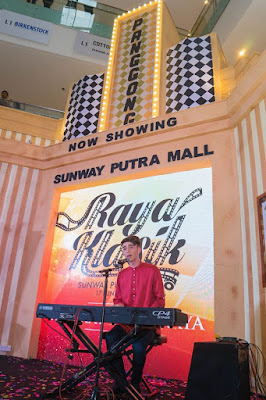 I heard that Sunway Putra Mall transfers itself into vintage as the new theme for this eid! To those who love vintage so much. I know that this is gonna be super exciting for you because you know what?! 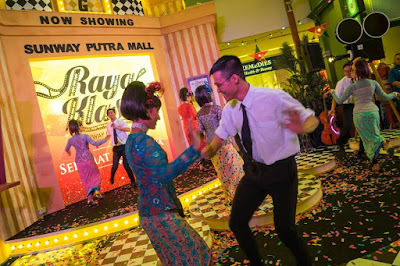 Sunway Putra Mall will bring you back in time to the 60s era Inspired by pop culture! You must be very eager to see the decoration that inspired from Volkswagen Beetle car, vinyl records and old film posters too! It’s all classy and classic. You’re not just gonna be shopping for Mubarak Eid preparations here, but you’re gonna be enjoying the amazing performances and activities too! 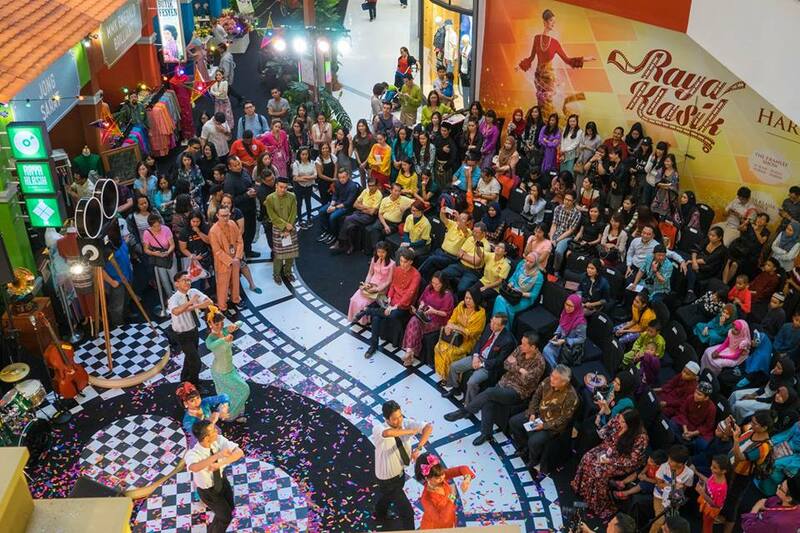 It’s undeniable that Sunway Putra Mall knows how to surprise and delight its shoppers. The mall has also set up two Raya bazaars where you can indulge yourself with its fabulous bargains galore and you’ve got so many wonderful choices for you to decide! From fashion stuff to household goods. Ahha, good foods are there too! Be careful, the foods can be very seductive! Are you P. Ramlee's number one fan? I know that you can’t keep calm right now. **drum roll** Sunway Putra Mall proudly presents screening of some P. Ramlee’s best known films like Tiga Abdul, Madu Tiga and Bujang Lapok! Make sure to be there at 12.30 pm and 8.30 pm on selected dates. 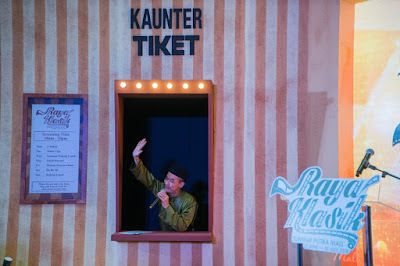 Watching P. Ramlee films in a vintage surrounding will turn things around for yourself and make you walk down the memory lane! 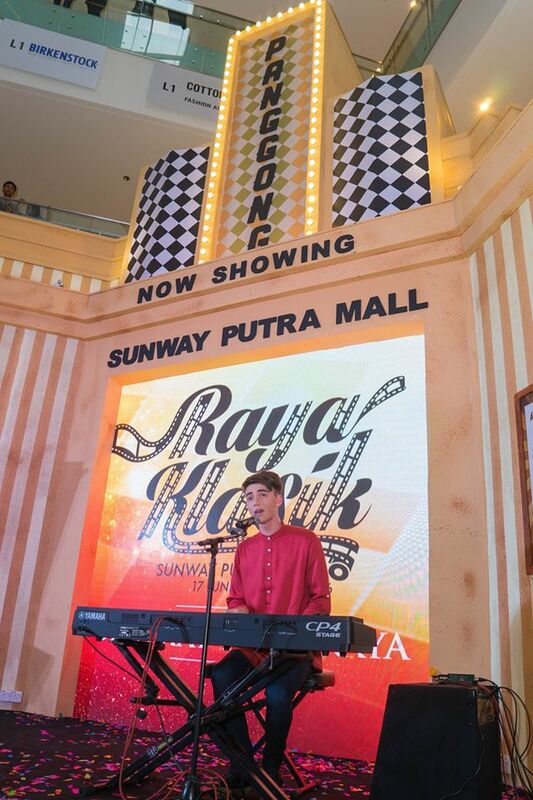 The other cool thing is Greyson Chance was also there making performance on June 19! I know many of you had met and greeted this international pop-star and enjoy him singing all the songs from his brand new mini album. 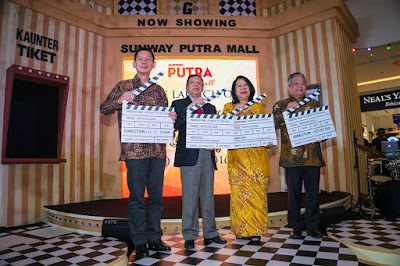 It doesn’t stop there, you can earn rewards while shopping with Sunway Putra Mall when you spend RM300 (RM250 for HSBC credit cardholders and Sunway PALS members). You’ll receive a ravishingly designed pack of Sunway Putra Mall for ‘duit raya’ too! Spend RM 600 (RM 500 for HSBC credit cardholders and Sunway PALS members) across three receipts and a pair of Klasik Design Cushion Cases will be yours. It comes in three different beautiful designs and you can choose the colour you are most attracted to! Spend RM 1,800 (RM 1,600 for HSBC credit cardholder and Sunway PALS members) across four accumulated receipts and leaves this mall proudly with the exclusive Finders Keepers Bean Bag that worth more than RM400! Have fun the plethora of amazing bargains that happens with the 1Malaysian Mega Sale starts on June 15 until August 31! Mark your calendar now! There are many restaurants you can choose from in this mall too! Feel your heart pause now by logging onto the mall’s website or Facebook page.